Wauw. I'm going to apologise in advance for all the superlatives I'm going to use for this post! 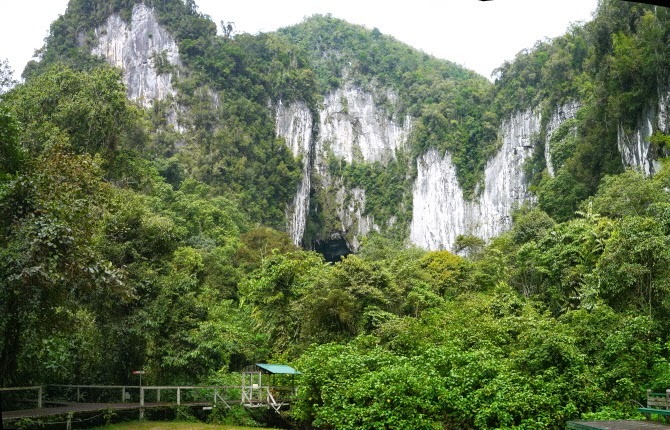 We just spent the most amazing three days at the Gunung Mulu National Park. It's Unesco World Heritage Site and rightly so. The area is just full of caves. In the middle of the rain forest. Wauw. One beautiful cave after the other, all so pretty it's impossible to pick the best. It's not often we treat ourselves to land excursions away from Sophia, mostly also because there hasn't been any marinas to leave her in until here in Malaysia. We have also spent half a month's budget in just three days, but it has definitely been worth it. Visiting Borneo is not complete without visiting the park and I'd recommend it to anyone. It's easy to get to the caves via broad walks and the tourist caves have stairs, walkways and lights and you must go with a guide. So in a way it's a bit commercial, but it's far from crowded, and coming from Western countries, it's a sweet deal and still a good adventure. It's also possible to do caving expeditions to caves without the lights and steps, but we didn't do that. I was perfectly happy just to see the show caves, and the light sure helps with that. An extra bonus was the rain forest. Just walking along the broad walk on the way to caves, we'd see tons of animals, mostly insects, but they are cool and very exotic too! The animals we have seen include: stick insects in all forms, shapes and sizes, millipedes and the likes, a ton of spiders, frogs, heaps of geckos, millions (literally) of bats, birds, dwarf squirrels, two snakes, porcupine, cave critter, one cat (the name started with s) and many more. 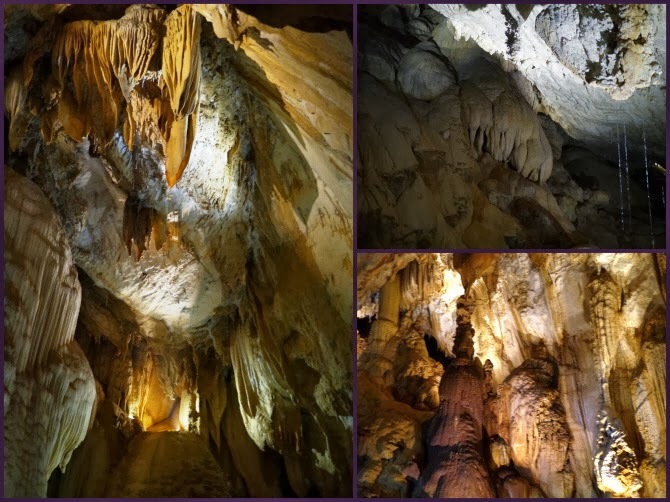 I took so many photos and there are so many nice one to show, so therefore I'll split this post in two, this one about the caves, and another one about the animals and the rainforest. I will also post more photos on facebook as I couldn't quite limit myself to just the blog. Yet we only saw a small part of the whole system (red circle), it's over 200 km long!